Man is it me or do the children that belong to Tameka Raymond don't have luck when it comes to being in the water? From losing her oldest son earlier to a water skiing accident to on of her youngest boys being put in the ICU earlier this week. Usher V was hanging around with daddy when he made his way to the pool and fell in. 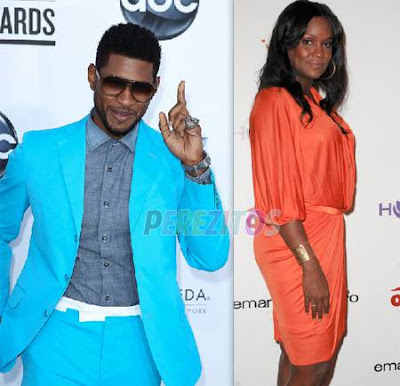 Usher's sister pulled him out and made a frantic 911 call. Why was Usher V around the pool unsupervised? I'm sure this and may other questions will be asked and answered privately between the two, the police and a judge. Tameka Raymond has since then filed for full custody of the boys since she said "Usher is gone 85% of the time per month" All I can say is damn... my best wishes for the entire family!